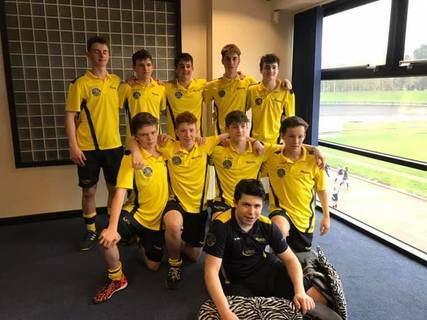 The U16 boys travelled to Wolverhampton this weekend to take part in the National Indoor Finals after winning the West Regionals in December. A disallowed goal in their first game against Sevenoaks left them with a 2-2 draw. Their second game saw them take on a well drilled and strong Saffron Walden and although the boys fought hard and had their chances, they could not put the ball in the goal and lost 2-5. Sunday and all still to play for in their pool. First up they faced top of the pool Harrogate, it was a very even game with end to end play, unfortunately Harrogate managed to sneak in the winning goal in the 23rd minute. The final game for the boys against Belper, again another end to end game. 1-1 at halftime saw the TBB boys come out and score quickly in the second half to give them the lead, they then managed to score again in the 22nd minute which Belper quickly responded to and scored one back. The boys managed to defend their lead and ended the tournament on a much-deserved win. Their performances got better and better with each match and the boys should be proud of themselves and finished 7th. Many thanks to Silks and Toby for coaching and for the continued support from parents. Well done to Hugh who finished 11th Top Goal Scorer of the tournament.